20+ Embroidery Tattoos That Resemble Masterpiece Drawings But Clearly Aren't! 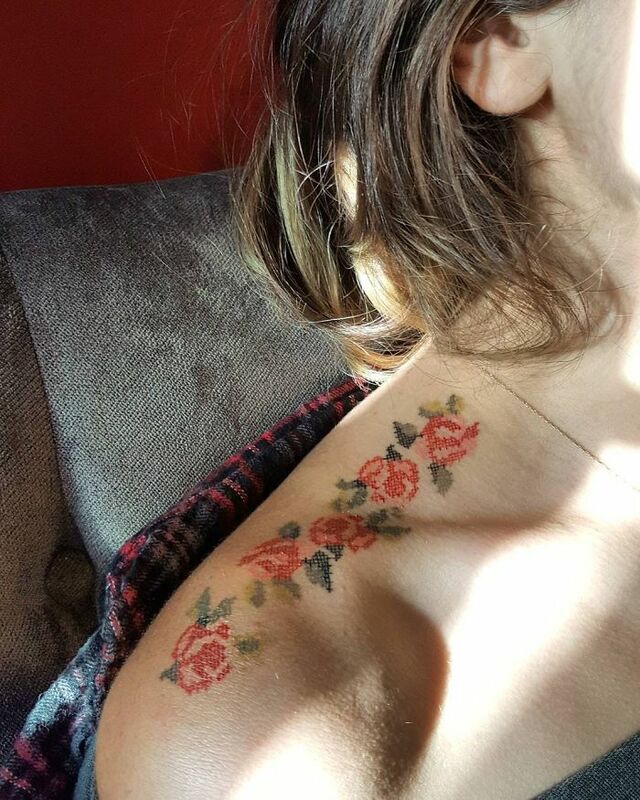 Embroidery tattoos might sound old school. But, for tat enthusiasts, it's really cool! You have to get one today! There's a new tattoo form in town and it's more interesting than it sounds. Embroidery tattoos might sound a bit old school or rather something that your grandma would get. But, on a serious note, it's not. Although both these techniques involve a needle, the results and textures are worlds apart. It's really cool to witness how they combine classical art with a funky trend. They give it a sort of three-dimensional look. By that we mean, they seem like stitches created on one's skin. In order to get a clearer picture, scroll through! 2. What lies beneath it? can you believe these are tattoos? We are in awe of this precision. It does look painful but it's totally worth it! Can't get over this guy! Are you getting our vibe? This hardly makes any sense. How can someone be dumb and clever at the same time? Now that's a creepy-a*s tattoo! 19. Look at the impeccable detailing! The loose threads make it look so real! We see an awesome collaboration here. Magic happens when you believe in it. No wonder Popeye is in love with her.